There have been a pretty large number of Android apps, on loans, these days. Some people may even wonder why people have so many loan apps available to them now, it may be because the economy today is still embedded in recession. With the economic crisis that first occurred a few years back, a lot of people have had to find ways to budget more wisely or find more sources of money. Many people know that finding a good loan is no easy task and this could be one of the reasons why loan apps are becoming more and more popular today. In Google Play’s app shop, if you simply search the word ‘loan’ on the search, you could find a whole lot of different Android apps for loans. The collection of loan apps used to start out with just a handful of helpful apps. Over the years, the collection has grown and now, people can find hundreds of different Android loan apps that they can try making use of. Not everyone really knows how to calculate different things regarding their loans and how much they need to pay. With a loan calculator, people can get a precise figure of their loan’s value, after placing certain values. Some examples of loan calculator apps for the Android include Loan and Mortgage Calculator, Loan Calculator, Simple Loan Calculator App and many more. Aside from general loan calculators, there are android apps that take it to another level with more specified loans. These include car loan calculators, house loan calculators and more. Some examples of these Android Apps are named Housing Loan Calculator and Car Loan Calculator Free. Besides simply allowing you to calculate your monthly loan, there are a number of apps that can allow you to pay on the go, through your smart phone. These apps are very helpful and can be convenient for when you don’t have the time to make the payment directly to the lending institution. Some good examples of loan payment apps are Great Lakes Mobile, Westpac Mobile Banking and a lot more. With so many different apps for loans available, people are open to more than a hundred options in helping them fix their problems with loans. There are many other loaning apps that you can try using or checking in the Google Play app store. 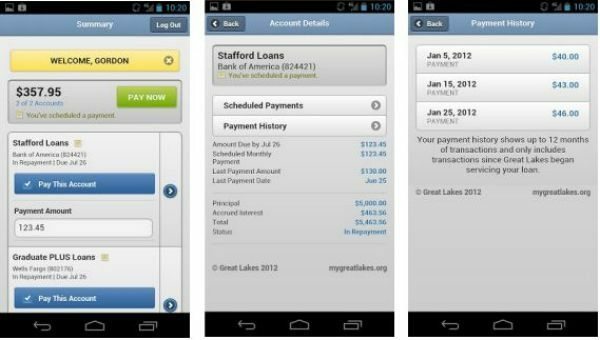 Most of the Android Apps for loans are free but there are some premium apps that come for a small price but are filled with a lot of helpful loan features. If you need help in dealing with your loans, you can surely benefit with the help from one or two loan apps. Go ahead and try getting some loan apps now since most of these loan apps are free anyway. The article is shared by Jeff Morgan, a tech enthusiast who likes to contribute articles on short term lending and personal loans. Previous article Previous post: Summly app makes founder millions, so what did we know!